"Spain will be looking at England's stability with a degree of jealousy. It was a chaotic summer for La Roja, with the Julen Lopetegui/Real Madrid affair casting a shadow over a disappointing World Cup"
Autumn is just starting to nudge England's summer of love into the past tense, but the memories will burn brightly for some time yet. The positivity that defined the Three Lions' World Cup campaign was a rare, precious thing, and you get the sense that everyone involved, from manager down to casual fans, is keen for a bit more of the same. It may not have come home, but it's certainly spending the odd weekend here. Gareth Southgate has gone for continuity in his squad, which features the majority of those who were on duty in Russia. But the few new faces should all bring something to the party: Luke Shaw is in excellent form and looks a good fit for the left wing-back role; Joe Gomez will be keen to restate his case after missing the World Cup through injury; James Tarkowski will be a handy squad player in the years ahead. There's no Raheem Sterling, so Marcus Rashford is expected to lead the line with Harry Kane, but otherwise the starting XI is going to have a very Moscow vibe to it. Whether that will be enough against Spain is another issue, but for now there are still plenty of reasons to be cheerful. Now onto their third coach in the last three months, Spain will be looking at England's stability with a degree of jealousy. It was a chaotic summer for La Roja, with the Julen Lopetegui/Real Madrid affair casting a shadow over a World Cup that petered out in disappointing fashion. Fernando Hierro didn't expect to find himself in the job and was unable to present a case for remaining in it. After all that, it's telling that Spain have turned to Luis Enrique, the former Barcelona manager. He's not everyone's cup of tea - journalists find him spiky and distant - but his no-nonsense approach could bring some discipline back into the set-up. That will be welcome to most, although you wouldn't want to cross him: Jordi Alba, with whom he clashed at the Camp Nou, has been cut from the squad. With Andrés Iniesta, David Silva and Gerard Piqué freshly retired from the national team, the side will have a new look to it. Marcos Alonso, Suso, Rodri, Sergi Roberto, Dani Ceballos, José Luis Gayà, Diego Llorente and Iñigo Martínez are among those hoping for chances, with Sergio Ramos and Sergio Busquets representing the old guard. This has usually been a tough match-up for England: the Three Lions have won just three of their last 12 internationals against Spain, and only one of the last six. They have also failed to find the net in six of the last nine meetings, which could make the [3.0] on the home win look like a long shot. Yet those records don't take into account the current state of the sides. England may not have beaten any top-class opposition in Russia, but they are settled and have a well-grooved way of playing, whereas Spain are moving into a transitional period with a coach who might prefer a more direct way of playing. Throw in England's fine record at Wembley - 14 successive wins and 24 unbeaten in competitive games - and there's a case for backing Southgate's men. Although the Asian handicap looks a safer angle than the outright, with England +0 available at [2.1]. That way, your stake is returned if the game ends all-square. Spain have scored in each of their last 24 international games, but may take a while to adjust to a new system and new players. England's matches against elite sides have tended to be low-scoring, meanwhile: World Cup games against Belgium (twice) and Croatia all went below the 2.5-goal mark in 90 minutes, while results prior to that (1-1 vs Italy, 1-0 vs the Netherlands, 0-0 vs Brazil, 0-0 vs Germany) indicate that Southgate's charges do sometimes have a hard time breaking down the very best defences. The unders is short at [1.68], but if you fancy England to shade it, an option is to split stakes over the 1-0 and 2-0 scorelines, at odds of 5.76. Betfair Sportsbook's new Same Game Multi tool allows you to combine multiple picks on the same game. So if you like the look of a low-scoring home win, you could add in a goal for Harry Kane, who has scored 14 goals in his last 13 games for the Three Lions. You can back the England win, under 2.5 goals and a Kane goal at odds of 10.47. 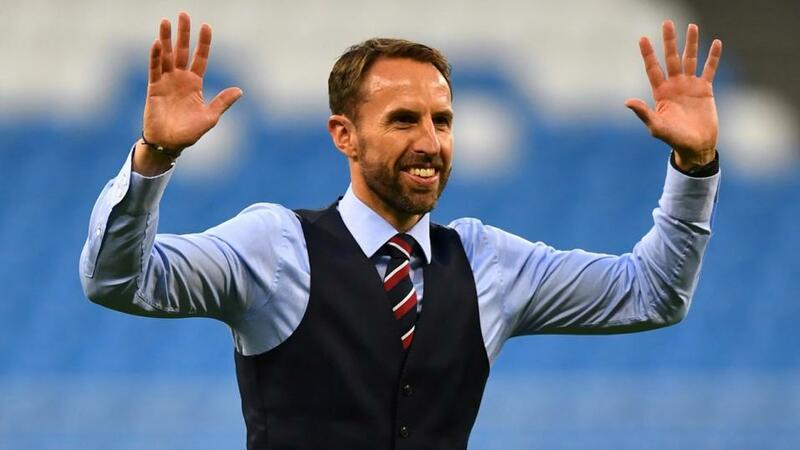 While Jack believes England are worth sticking with on Saturday night, The Betting Guy is of the opinion that Southgate's men are overrated and that backing Spain in the Draw No Bet market at [1.92] is the way to play. You can listen to the Betting Guy's reasoning on the below Podcast.